Jeff Kresge (Trumpet) received his Master of Music in Trumpet Performance from Boston Conservatory and Bachelor’s Degree in Music Education from SUNY at Fredonia. He is currently a member of the Roanoke Symphony Orchestra, principal trumpet of the Shenandoah Symphony Orchestra and has performed with the Lynchburg and Charleston (WV) Orchestras as well as Opera Roanoke. 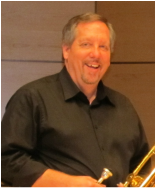 Jeff currently serves as adjunct professor of trumpet at both Hollins and Radford Universities and also enjoys freelance work throughout southwestern Virginia. Steve Hedrick (Trumpet) received his Master of Music Education Degree from the University of South Carolina , and Bachelor’s Degree in Music with a Performance Certificate from Elon University. He is a member of the Shenandoah Symphony Orchestra and has performed with the South Carolina Philharmonic Orchestra, Columbia Lyric Opera, Charleston (SC) Symphony, Roanoke Symphony, Opera Roanoke, and Lynchburg Symphony. Steve was a band director for eleven years and has published four volumes of the Band Fundamentals Book. He currently teaches music at The Bandroom Studios in Roanoke and is adjunct lecturer of trumpet at Roanoke College . Suzanne Ely (Horn) is a native of Charlottesville, Virginia and graduated from James Madison University with a Bachelor of Music, having studied horn with Dr. Abigail Pack. She taught elementary school music for two years in her hometown, and then moved to Vinton, taking a job with Bedford County Schools as an elementary school music teacher. After teaching in Bedford for six years, she elected to stay home with her daughter. She is currently the Nursery Coordinator at Christ the King Presbyterian Church. In addition to playing in Roanoke Chamber Brass, Suzanne also plays as a freelance musician and has performed with the New Lyric Theatre, Randolph College Symphony Orchestra, Salem Choral Society, and Massanutten Brass Band. Barry Tucker (Trombone) received his BS in Music Education from Western Carolina University and an MA in Music Performance from Radford University. He is currently a member of the Roanoke Symphony, Opera Roanoke, and has performed with The Ashville Symphony, The Lynchburg Symphony, The Eastman Brass Quintet, The Shenandoah Brass Quintet, The Maryland Ballet. The Johnny McClenon Big Band and The Freddy Lee Orchestra In his 36 of professional playing. Barry has thirty four years of experience teaching in Roanoke County Virginia. He is currently the supervisor of music for the county school system. He served on the faculties of Radford University, Virginia Tech, and the King’s School in Sydney Australia. In his tenure as a high school band director he was chosen teacher of the year in 1990, 1993, 1998, 2003, 2004, 2005, 2006,2007. In 1997 he was chosen educator of the year in Roanoke by Cox Cable TV for his work with technology in the classroom. Three times he has received the Star Award given by the General Electric Corporation for his contribution to the lives of his students and in 2004 was nominated Educator of the Year for the county school system. His wife Donna is a financial advisor and his son Adam is a junior at the University of Tennessee. Charles Krause (Tuba) received his Bachelor of Music Education degree from Virginia Commonwealth University with an emphasis in piano and tuba. He then taught public school music for the Richmond City Schools. In 1971 he moved to Roanoke and was the education consultant with Boykin’s Music Shop. In 1977 he received his Master of Church Music degree from the Southern Baptist Theological Seminary in Louisville, Kentucky. He was the first graduate of the school to serve in a full-time capacity as director of a church orchestra and was also the first graduate to complete 25 years as a Minister of Instrumental Music in a church. For the past seven years he has served Grandin Court Baptist Church as their Minister of Discipleship and Senior Adults. He has played with the Richmond Symphony Brass Quintet and Opera Roanoke. 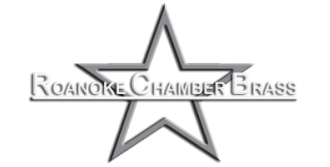 He was the principal tubist with the Roanoke Symphony for 36 years and considers it a joy and privilege to play with the Roanoke Chamber Brass. Charles and his wife Fran, have three grown children and six grandchildren.